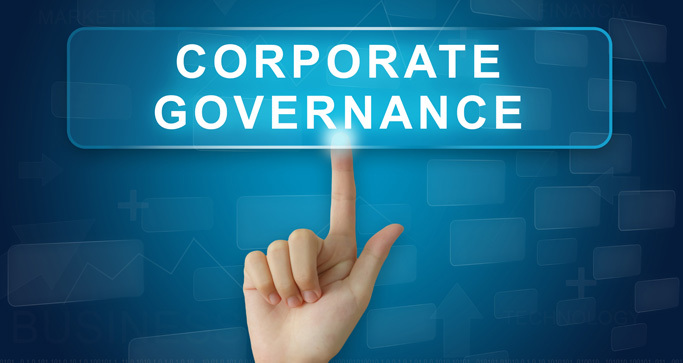 Our Directors recognize the importance of corporate governance and the maintenance of high standards of accountability to our shareholders. Our Board has established three committees: (i) the Audit Committee; (ii) the Nominating Committee; and (iii) the Remuneration Committee. Our Audit Committee comprises three members, namely Mr. Ng Quek Peng, Mr. Hendrick Kolonas and Mr. Liu Chee Ming. The Chairman of our Audit Committee is Mr. Ng Quek Peng. (n) undertaking generally such other functions and duties as may be required by law or the Listing Manual, and by amendments made thereto from time to time. Apart from the duties listed above, the Audit Committee will ensure that arrangements are in place for employees to raise concerns, in confidence, about possible wrongdoing in financial reporting or other matters. The Audit Committee will commission and review the findings of internal investigations into such matters or matters where there is any suspected fraud or irregularity, or failure of internal controls, or infringement of any law, rule or regulation which has or is likely to have a material impact on our Group's operating results and financial position. The Audit Committee will also ensure that the appropriate follow-up actions are taken. Our Group has an in-house internal audit department for reviewing and implementing appropriate internal controls, including in respect of financial, operational and compliance risks. Following our listing on the SGX-ST, the in-house internal audit department will report to our Audit Committee who will approve the internal audit policies and plans. Our Audit Committee will review the effectiveness of the internal audit function and, where deemed necessary, expand the internal audit function to ensure its effectiveness within our Group. Our Board, after making all reasonable enquiries, with the concurrence of our Audit Committee, is of the opinion that our internal controls are adequate to address the financial, operational and compliance risks. Our Nominating Committee comprises Ms. Lien Siaou-Sze, Mr. Handojo Santosa and Mr. Liu Chee Ming. The Chairwoman of our Nominating Committee is Ms. Lien Siaou-Sze. (d) where a Director has multiple board representations, deciding whether the Director is able to and has been adequately carrying out his duties as Director, taking into consideration the Director's number of listed company board representation and other principal commitments. In addition, our Nominating Committee will make recommendations to our Board of Directors on the development of a process for evaluation and performance of the Board, its board committees and directors. In this regard, our Nominating Committee will decide how our Board of Directors' performance is to be evaluated and propose objective performance criteria which address how our Board of Directors has enhanced long-term shareholder value. The Nominating Committee will also implement a process for assessing the effectiveness of our Board of Directors as a whole and our Board committees and for assessing the contribution of our Chairman and each individual Director to the effectiveness of our Board of Directors. Our Chairman will act on the results of the performance evaluation of our Board of Directors, and in consultation with our Nominating Committee, propose, where appropriate, new members to be appointed to our Board of Directors or seek the resignation of Directors. Each member of the Nominating Committee is required to abstain from voting, approving or making a recommendation on any resolutions of the Nominating Committee in which he has a conflict of interest in the subject matter under consideration. is of the view that (i) each of our Independent Directors is individually and collectively able to devote sufficient time to the discharge of their duties and are suitable and possess relevant experience as Independent Directors of our Company and (ii) our Independent Directors, as a whole, represent a strong and independent element on the Board which is able to exercise objective judgment on corporate affairs independently from the controlling shareholders. Mr. Goh Geok Khim is the Non-Executive Chairman of Boardroom Limited and is, by virtue of Section 4 of the SFA, deemed to be interested in 81.28% in the issued and paid-up ordinary share capital of Boardroom Limited. Boardroom Limited is the sole shareholder of Boardroom Corporate & Advisory Services Pte. Ltd. ("Boardroom"), which has been appointed as our Share Registrar and Share Transfer Agent on normal commercial terms and on an arm's length basis. Mr. Goh Geok Khim will abstain from and will not be involved in any decision of our Board in relation to any transactions or dealings with Boardroom. The Board has reviewed the independence of Mr. Goh Geok Khim and, having considered the nature of the relationship and transaction and the factors considered in the appointment of Boardroom, is satisfied that the relationship described above will not interfere with Mr. Goh's exercise of his independent judgment and ability to act with regard to the interests of Shareholders. Our Remuneration Committee comprises Ms. Lien Siaou-Sze, Mr. Hendrick Kolonas and Mr. Ng Quek Peng. The Chairwoman of our Remuneration Committee is Ms. Lien Siaou-Sze. (e) approving performance targets for assessing the performance of each of the Key Management Personnel and recommend such targets as well as employee specific remuneration packages for each of such Key Management Personnel, for endorsement by our Board of Directors. Our Remuneration Committee also periodically considers and reviews remuneration packages in order to maintain their attractiveness, to retain and motivate our Directors to provide good stewardship of our Company and key executives to successfully manage our Company, and to align the level and structure of remuneration with the long-term interests and risk policies of our Company. If a member of our Remuneration Committee has an interest in a matter being reviewed or considered by our Remuneration Committee, he will abstain from voting on the matter.